Ever imagine how the other half lives? Now you can find out, with a fantastic villa holiday that will bring the fantasy into reality. For a week or two, you can kick off those smelly work shoes and scrubs, put your feet up and enjoy the lavish lifestyle that we all dream about living. Here are 10 tempting reasons why you should forget about staying in a hotel this summer and choose an amazing villa holiday instead. Holiday villas are soaked in luxury. From the moment you pull up to the front door, to when you very reluctantly leave for the airport – you’ll love every minute. Villas have fantastic facilities, with everything from private pools, sun terraces, barbecues, high-quality furnishings and much more. Staying at a villa means that you can take things at your own pace without any hassle from other holiday-makers. You don’t have to rush down to breakfast or queue at a bar; you can take it easy, relax, and do what you want to do. That’s how a holiday should be. We’ve secured a fantastic up to 10% off deal for NHS staff on villa holidays with a brand new partner, James Villa Holidays. Established in 1984, James Villa Holidays is the leading villa tour operator in the UK. 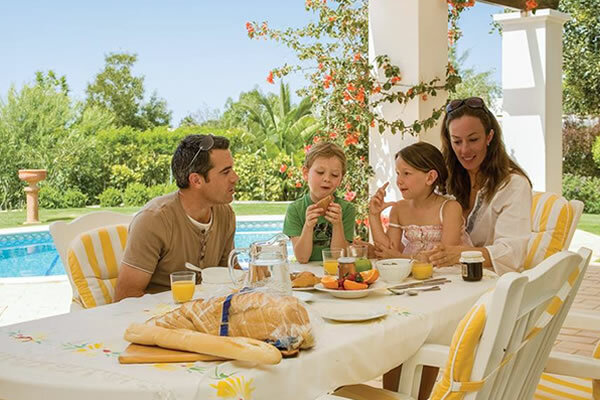 They provide everything that you could wish for from a villa holiday and have various options including luxury villas, family villas, villas with pools, flight-inclusive villa holidays (ATOL protected!) and more. The NHS discount is on top of any sale or offer prices as well, so you could make a great saving. We’ve all experienced it before: you’ve finally plucked up the courage to take a dip in the pool after sunbathing for hours, and just as you cautiously lower yourself in, a kid does a deliberate dive-bomb into the pool, splashing you with the cool water! That doesn’t happen if you have your own private pool, leaving you to hop on your lilo or have a swim in peace. You can’t really go wrong when it comes to the location of your villa holiday. They are hugely popular and you can take your pick from all of the main holiday destinations around the world, including Greece, France, Spain, Portugal, Italy and even the Caribbean. Holidaying in a villa has a real authentic feel and will make you feel like you’re actually living there, rather than being a tourist in a crowded hotel. You’ll begin to imagine living there permanently and you’ll probably have drafted your resignation letter by the end of your holiday. Is there anything more annoying on holiday than having to get up ridiculously early, sneaking down to the pool to claim a few sun loungers, only to find that you were beaten to it by even sneakier holiday-makers and there’s none left? Not an issue in your own villa, so you can relax and have an extra hour or two in bed. Eating out and drinks can end up being the biggest cost of your holiday, but with a villa holiday you can choose to save a bit of money and eat in. A quick shop for supplies at the local supermarket on the first day and you’re ready to go. Hotels can be cramped, even in a good-sized room. There isn’t much private space to enjoy, and if you have children this can become difficult. With your own villa you get plenty of space for the whole family to enjoy. You want to make sure that you book with a provider that offers ATOL protection so that you can sit back and relax, safe in the knowledge that you’re fully covered. It’s definitely better to be safe than sorry. Find out more about James Villa Holidays and make the most of your up to 10% extra NHS Discount today. Keeping your mobile number when you change network is less hassle than you might think. There are so many new mobile phone deals out there that it can leave you feeling a little confused. You want the best deal at the lowest price, simple. We work with the top mobile phone providers to get NHS staff the best deals possible. 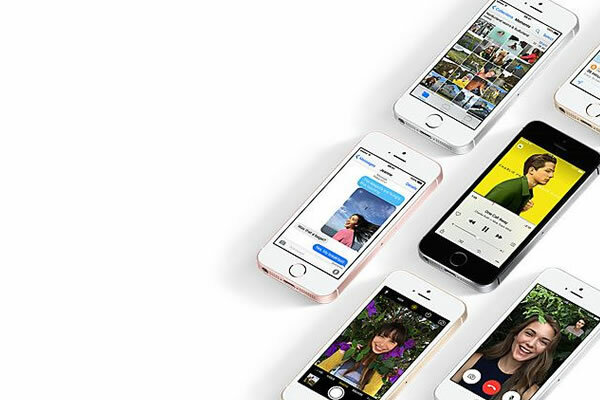 Two great offers that we have for NHS staff at the moment are EE’s Sim Only 20% off and our cheapest free iPhone SE plus cashback. Now you’ve chosen your network and got an amazing deal, you need to contact your original network provider and ask for your Porting Authorisations Code (PAC). Your PAC code is usually 9-digits and you’re perfectly within your rights to ask for this. Many providers will give you this immediately over the phone, or you could receive it over text within a few hours. Now you’ve got your PAC code you need to give this to your new network provider within 30 days. You can either do this over the phone or you may be able to fill in a form online. Don’t forget to have you account details handy. Once your new network provider has received the PAC code, your number will be transferred over to your new SIM. This shouldn’t take any longer than 1-2 working days, sometimes sooner. You may lose service briefly while the actual number transfer takes place, however this will only be for a short period of time. After that, you can give all of your friends a call and meet up for a well-deserved drink. Check out our full list of mobile phone deals for NHS staff and save money today.